BROOKLYN, NY (August 25, 2018) – With a strong, balanced offensive attack, the Brooklyn Cyclones, the Short Season, Class A affiliate of the New York Mets, slammed the Connecticut Tigers 10-3 to win the rubber match of a three-game set Saturday night at MCU Park in front of a 7,719 sellout crowd. For the full box score, click here.For the radio highlights, click here. Chase Chambers and Anthony Dirocie each collected three hits in Saturday’s finale. Chambers reach five times, scoring twice. Dirocie doubled and drove in a pair of runs. Manny Rodriguez went 2-5, including a two-RBI double capped a monster four-run third inning for Brooklyn, pushing the lead to 7-0. 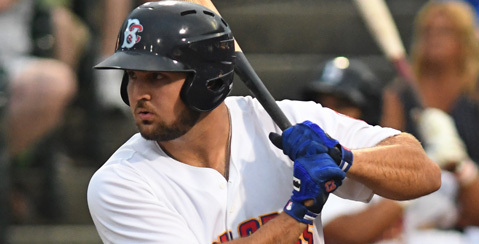 Brooklyn scored three times in the first inning against Jose Vasquez, plating runs on a passed ball and RBI singles from Chase Chambers and Anthony Dirocie. With a win and a Staten Island loss Saturday night, the Cyclones own the top wild card spot by one game with nine to play. The Cyclones finished the season series 8-1 against Connecticut, outscoring the Tigers 81-24. Kyle Wilson earned his fourth consecutive victory Saturday night. Brooklyn at Vermont – Sunday, 5:05 p.m.